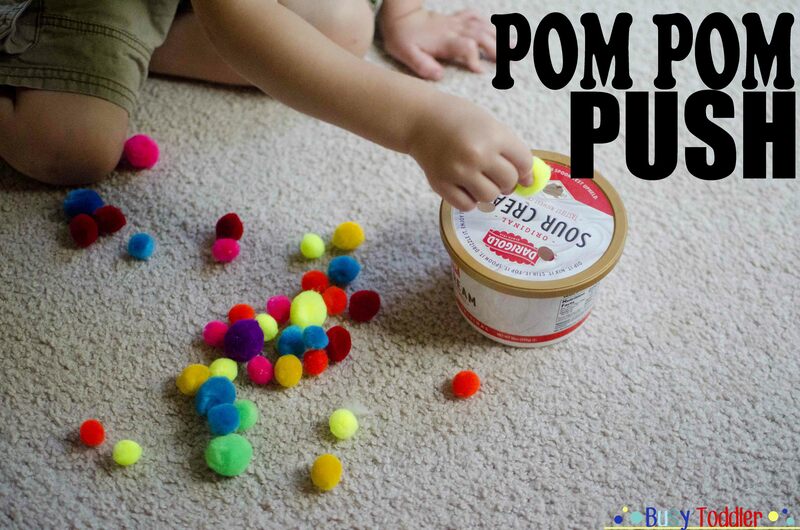 Pom Pom Push is a simple DIY toddler activity. It’s a bird, it’s a plane, no – it’s a fantastic homemade activity that holds toddler attention for days. Sounds like a superhero to me. Let’s talk about why I love this kind of activity so much. This is the type of activity where you can see the idea and be doing the project minutes later. 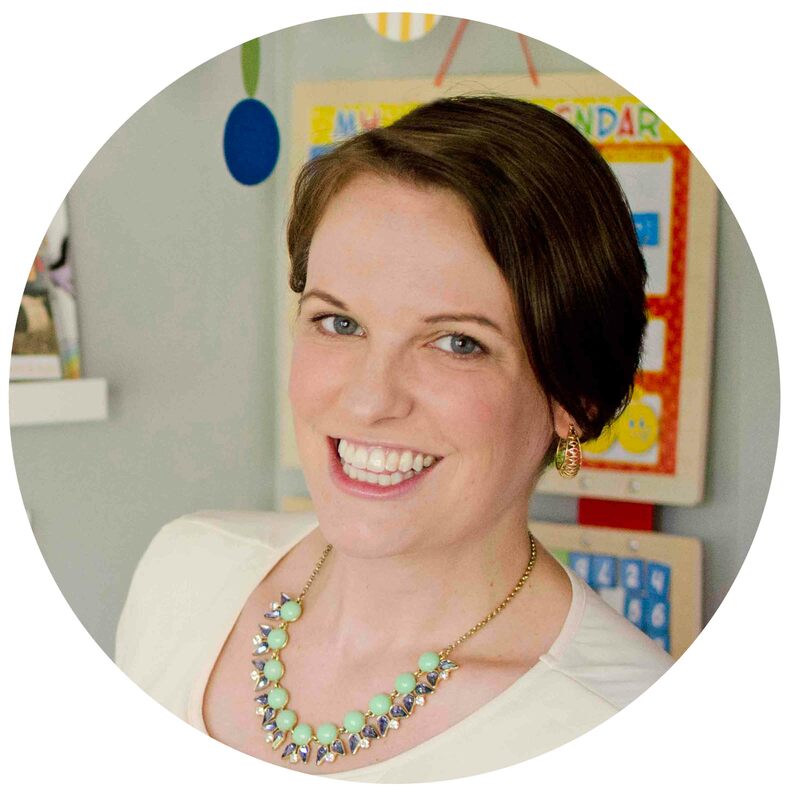 Activities don’t need to take forever to prep and they certainly don’t need to cost anything. I don’t have a lot of time or a lot of spare cash with these kiddies running around so thank heavens for projects like this. 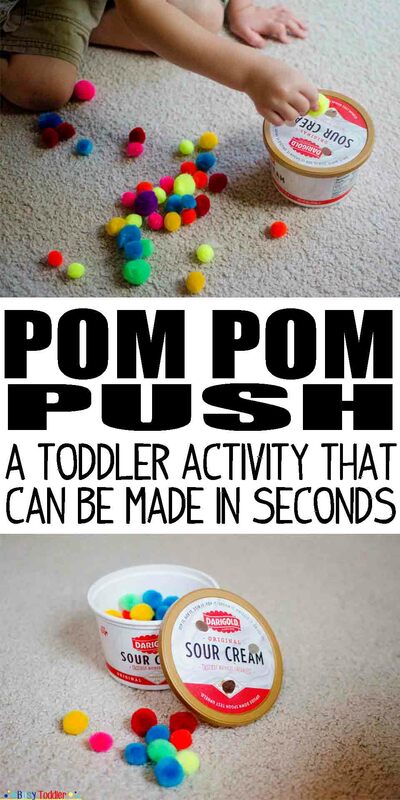 Variations of this are all over the Interweb – this is the version I made my toddler and my “review” of Pom Pom Push. Here’s how to make a simple Pom Pom Push. I did a little dumpster diving to start this project and fished out an old sour cream container. Nothing fancy. I took some scissors and poked a few holes in the top that were just big enough to fit a pom pom ball. The first time we played this, it held my son’s attention for so much longer than I expected and I am definitely kicking myself that he hasn’t had this Pom Pom Push made for many months. He can add it to his future therapy list. We even promoted this little homemade activity into the main downstairs toy bin – so basically the big leagues at our house. It’s been a month since I made this and it’s played with just as much as his construction trucks and trains. 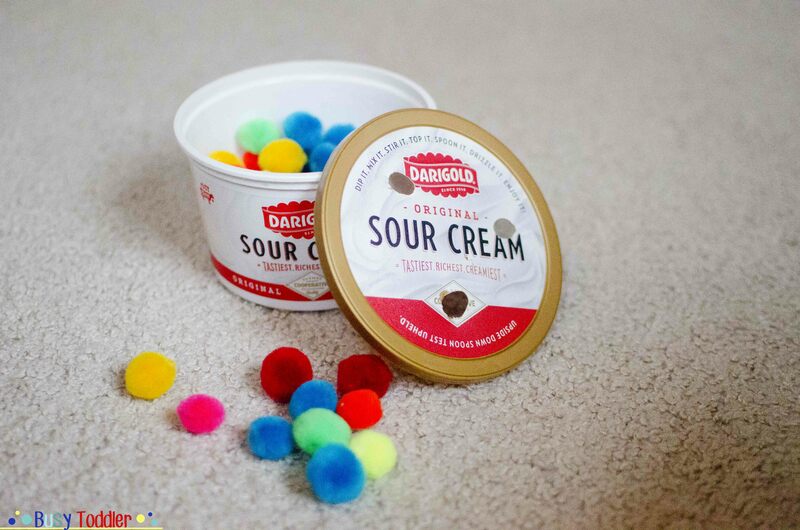 Even the baby plays with this…except she is a convicted pom pom eater so she just gets to shake the container when the pom poms are back in the container. She can’t be trusted (wink). 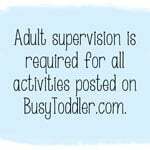 Such an easy activity to do with your toddler. Win win. 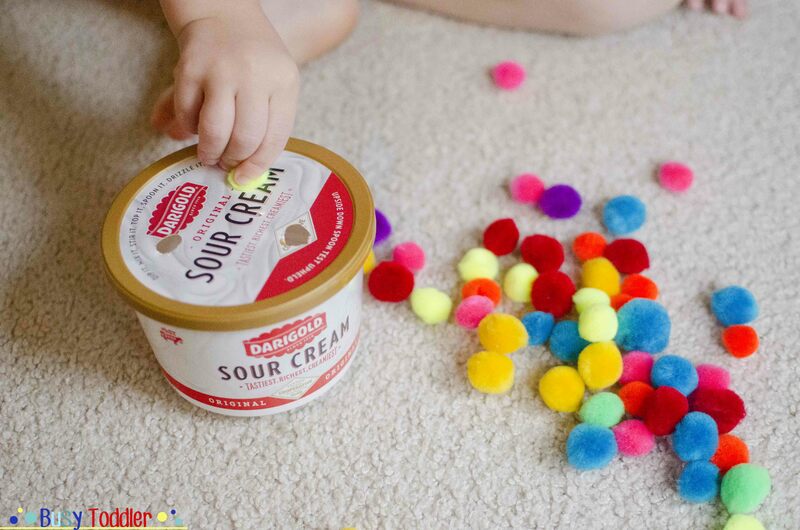 Make a Pom Pom Push for your tot – they’ll love it!